What we find is that many people and businesses that are starting online focus on the monthly fee or package price. But that can be very misleading when the package fee is only part of what you pay and other fees can double or triple the monthly cost. The same is true of free solutions and open source software. FREE is not all it appears to be and someone always pays. It is important to really dig into the terms and conditions of free solutions to find out what they do with your information. Very often the providers of free solutions will be selling the information that they collect about you and your customers. In the case of open source software such as Magento Community or Wordpress the software is free but that is where the cost get started. In order to successfully deploy an online shop with open source you need some development and technical skills and most business operators would rather run their business than become developers. So the Total Cost of Ownership (TCO) is important and understanding what that means will help you be more cost effective long term. Open Source is just what the name implies - the source code of the software is open for anyone to access it. That means it is a haven for hackers who regularly exploit vulnerabilities in the source code of open source software. The vast majority of fraud and hacked systems comes as a result of vulnerabilities in open source software. In fact vulnerabilities in open source are so prevalent that there is an entire website dedicated to the problem - Open Source Vulnerability Data Base. Open source is still controlled by a licence to use which is an Open Source Licence and allows the source code, blueprints, designs etc to be shared. If you are running an online business with open source then maintenance and vulnerability scanning and protection is a day to day job. Typically you need a developer to do that maintenance and as a rule of thumb the annual maintenance will be around 50% of the initial build costs. Failure to do maintenance means that the business is at risk. Most people take for granted that they can get support if they find a bug or problem with their software. However open source software comes with no built-in support and often no support at all. Support for open source is left up to community websites to provide answers. Generally these are anonymous forums, and guess what, frequented by the same people that exploit vulnerabilities. Open source software also is not supported by the original developers so if you find a bug or have a technical problem typically you have to fix it yourself or pay someone to fix it for you. Proprietary Software is closed source code meaning that, in general, no one can access the code except the original developers. Proprietary software requires a licence agreement between the user and the original developer often called an End User Licence Agreement (EULA). 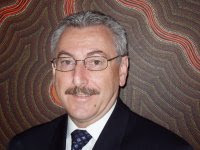 Security is still an issue with proprietary software however the effort and cost to maintain it is the responsibility of the original software developers who own the software and controls the source code. Support for the software is normally included in the monthly cost or the licence fee. For some proprietary software that is licenced on a perpetual basis you may need to pay an annual maintenance fee to get access to support and upgrades, typically it will be around 20% of the initial software licence. 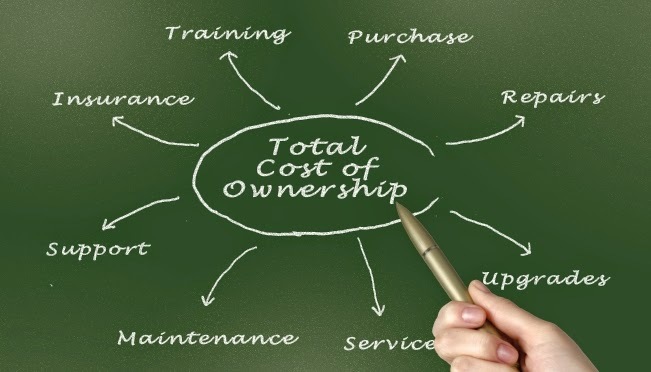 Total Cost of Ownership should normally be calculated over a 12 month (or longer) time period. The reason we do this is to ensure that you capture all the costs over a period of time. Some costs will not be evident initially. It is important that you attribute a cost to your own time. One area often overlooked when determining the cost is the time taken on various tasks by the business operators. It can often take a business owner without web development or technical skills 100's of hours to implement an online shop with open source. This does not include the time taken to add and maintain content like the product catalogue which is an ongoing task. The topic of "which approach" can start many arguments. The answer really depends on the requirements, the business processes and the operators capabilities. But more and more SaaS is winning the race. 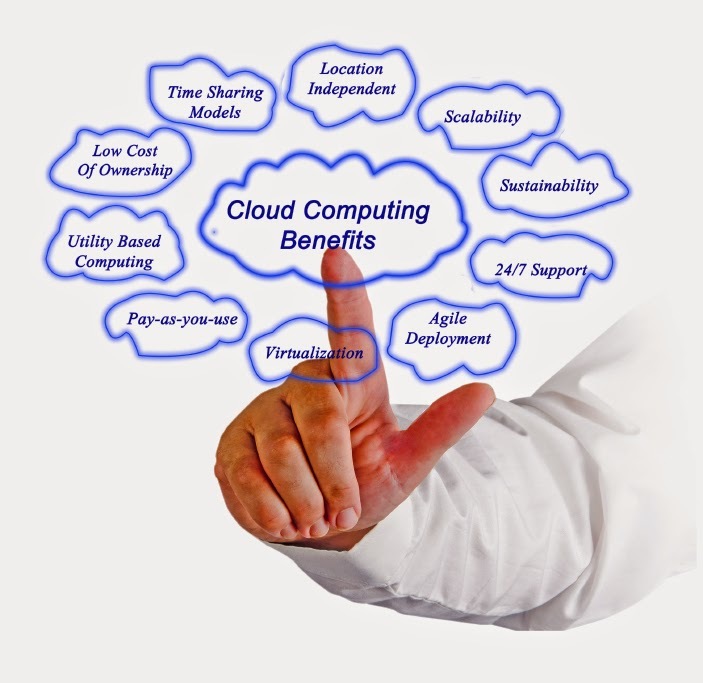 When you adopt the use of a SaaS or "Cloud" based solution the total cost of ownership is very clear and typically there are no hidden costs. It still pays to read the fine print but services providers quickly get found out when they try to hide costs. Cloud based solutions are made for business people and not for developers to use and so in general will be far easier to learn and use. Open source is typically made by developers for developers and often lacks fundamentals such as self-help, tutorials and guides. Regardless of which way you go or which solution that you choose consider working out the Total Cost of Ownership. Free and cheap solutions often have hidden costs or come with extra effort involved and longer term costs. Avoid the shock of being confronted with a large maintenance bill or a broken website by doing some upfront work. You can find out more about how eCorner's solution compares on our website at in our Frequently Asked Questions information.